Length 1.5 to 2mm. The male wasp is very dark brown to black on the head has a hunched thorax, with a black abdomen. 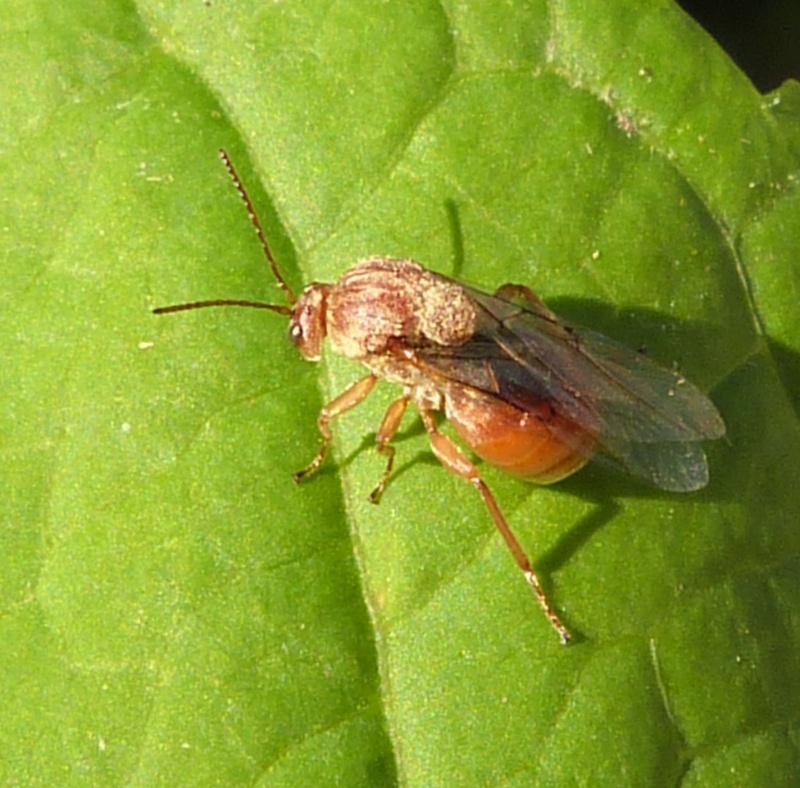 The legs are yellowy brown and the antennae are a translucent yellow/brown colour. 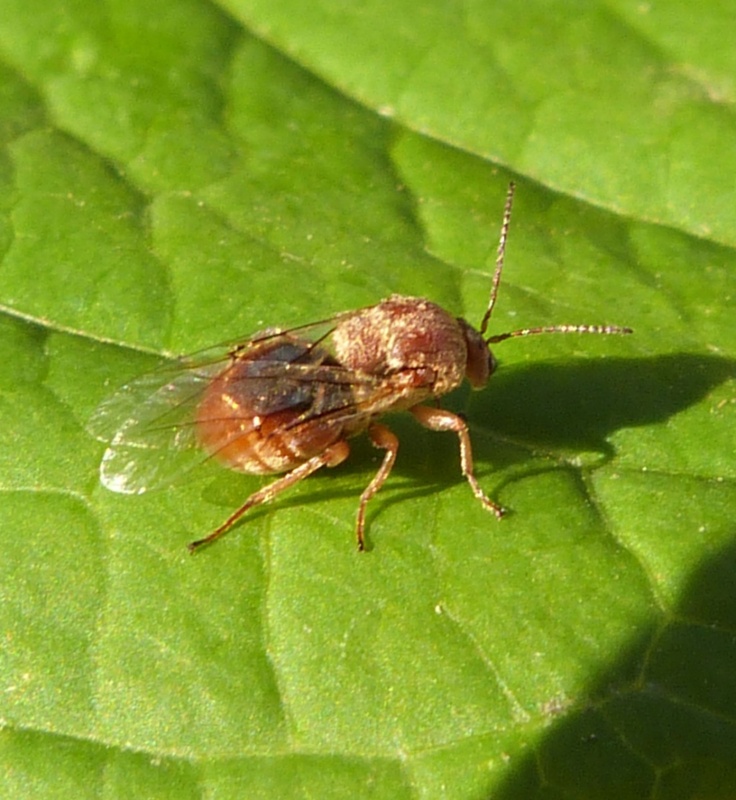 The female has a dark brown appearance overall. 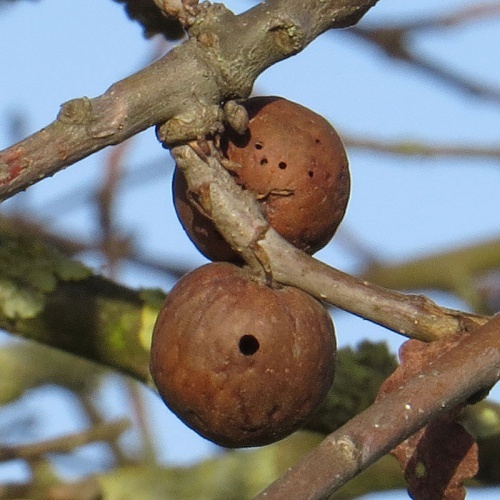 The gall is seen more often than the adult wasp. 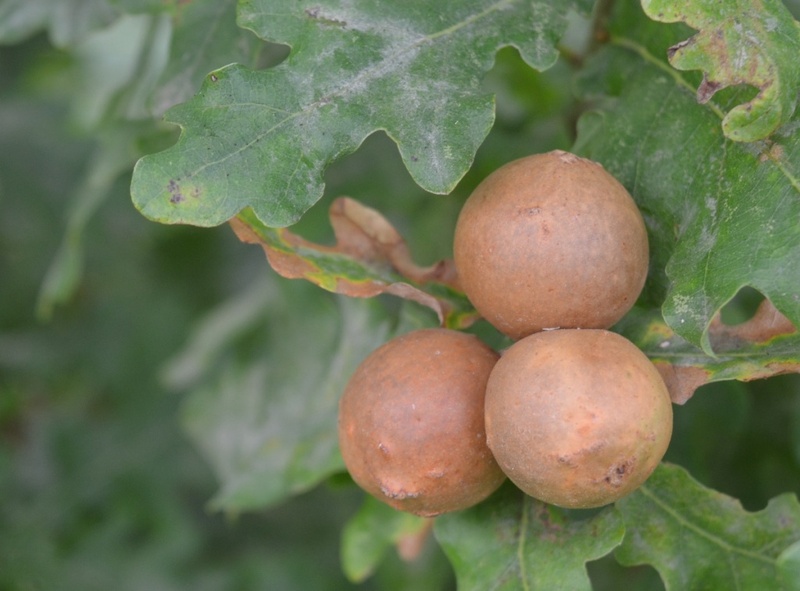 Anywhere that the host oak is found. 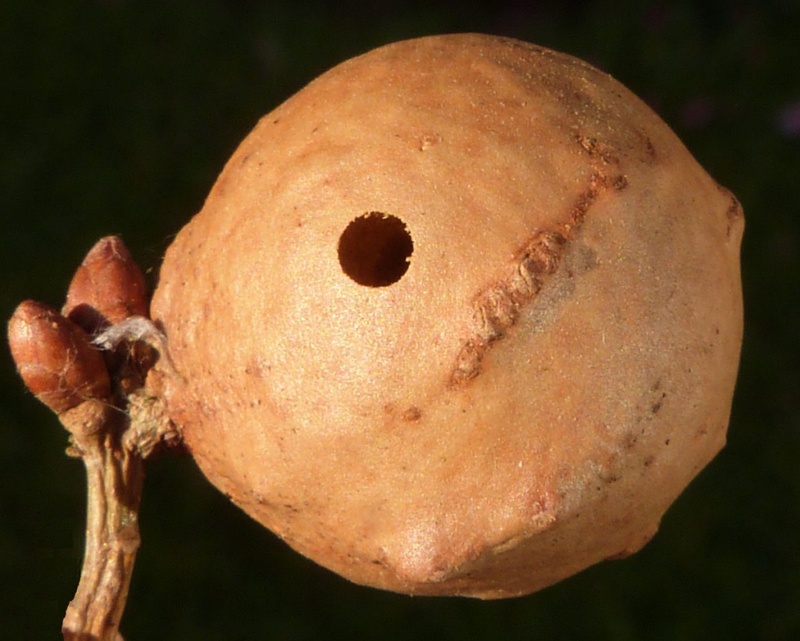 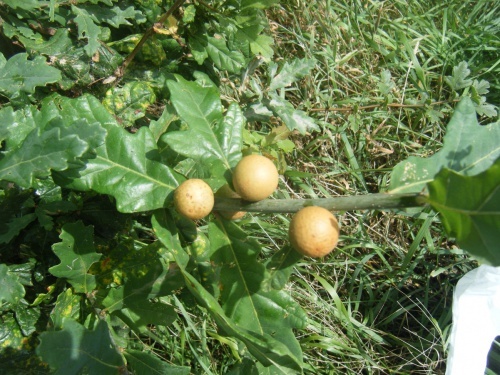 Adult females exit Oak Marble Galls from August to October. Andricus kollari has 2 generations per year. 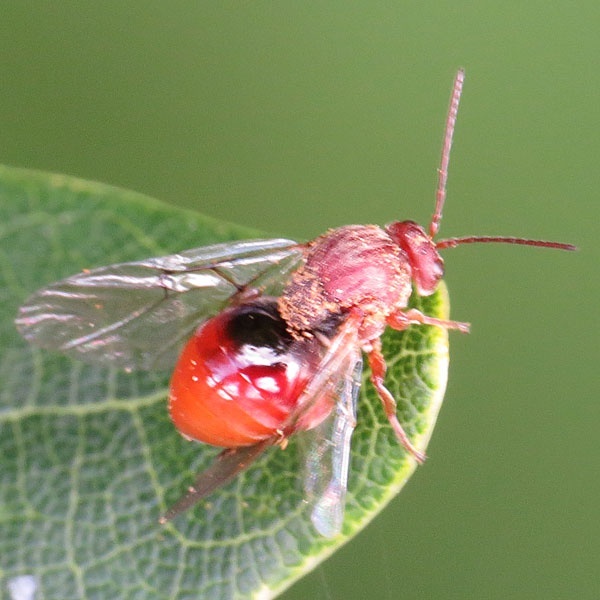 The first of which is sexual, whereas the second is agamic (all female, and needs no male to reproduce). 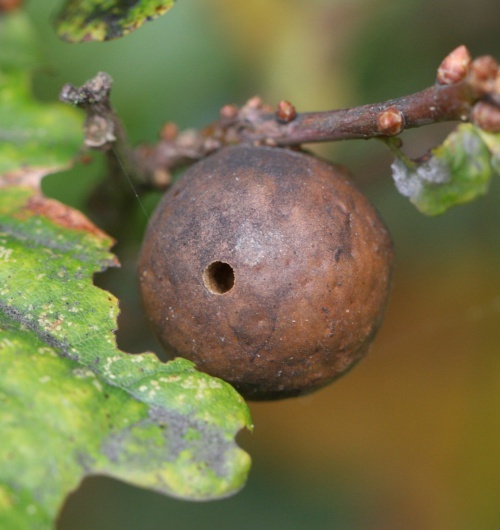 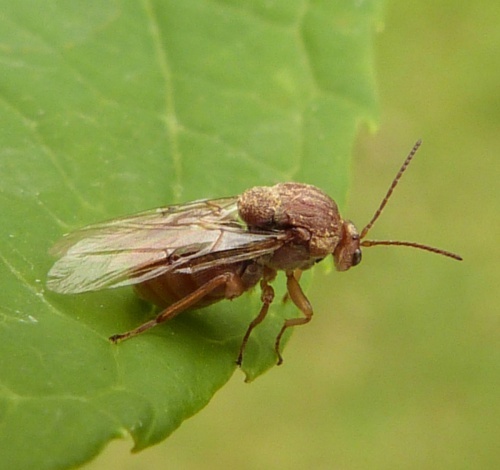 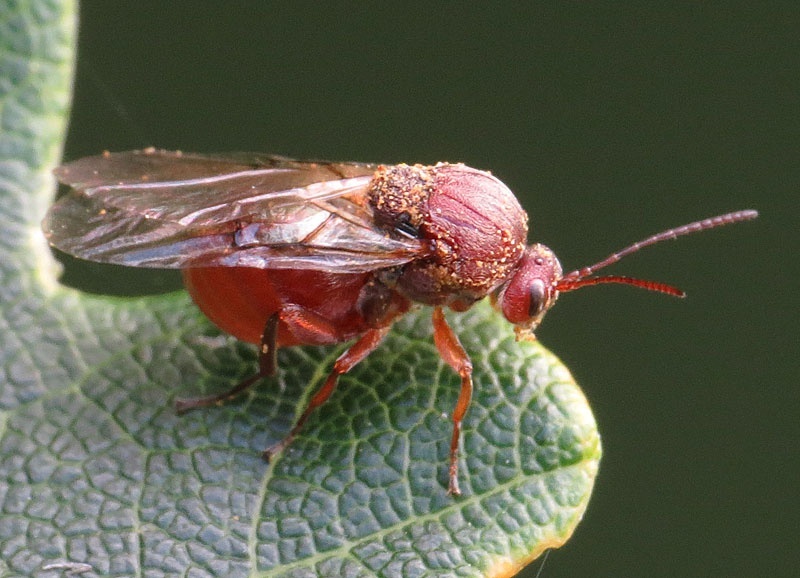 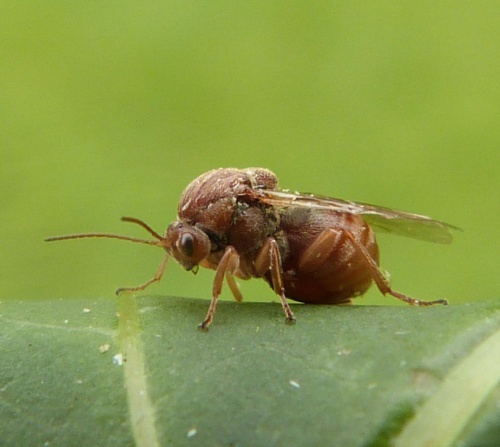 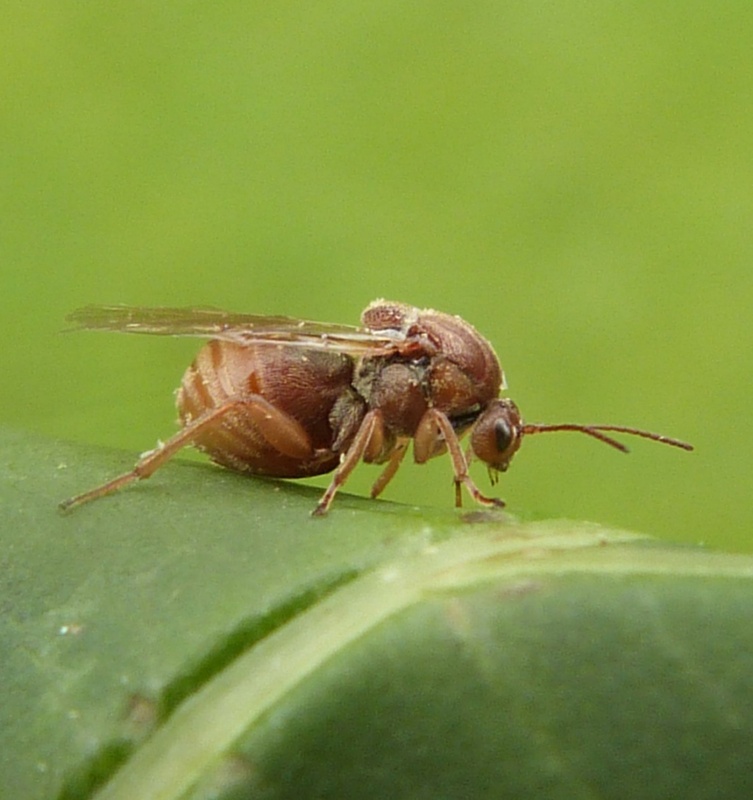 This wasp also needs two species of oak in which to breed. 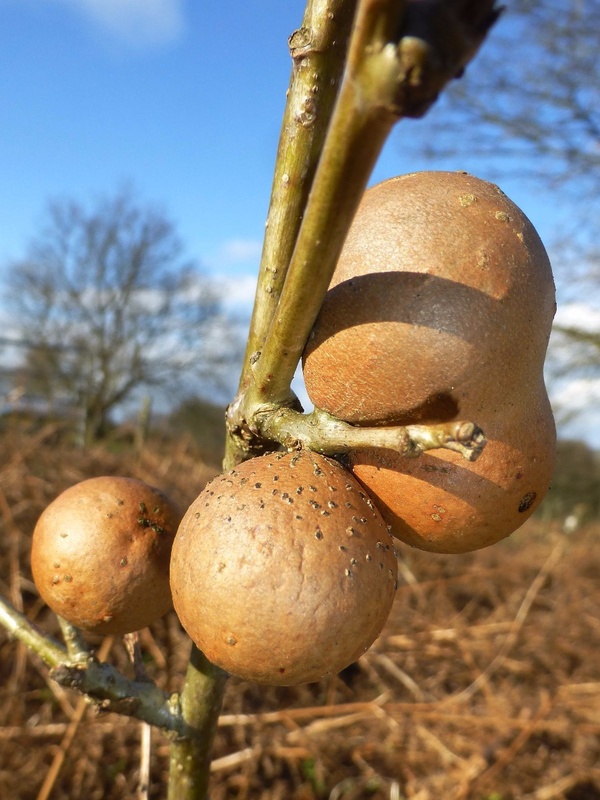 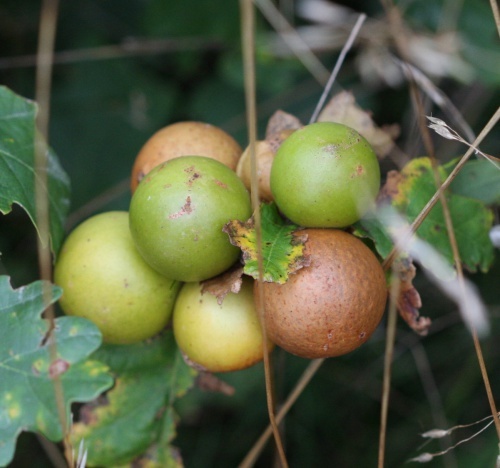 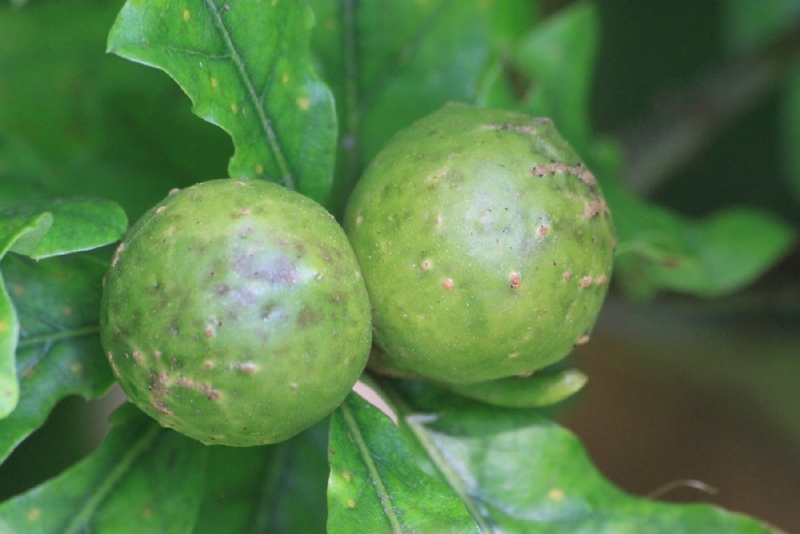 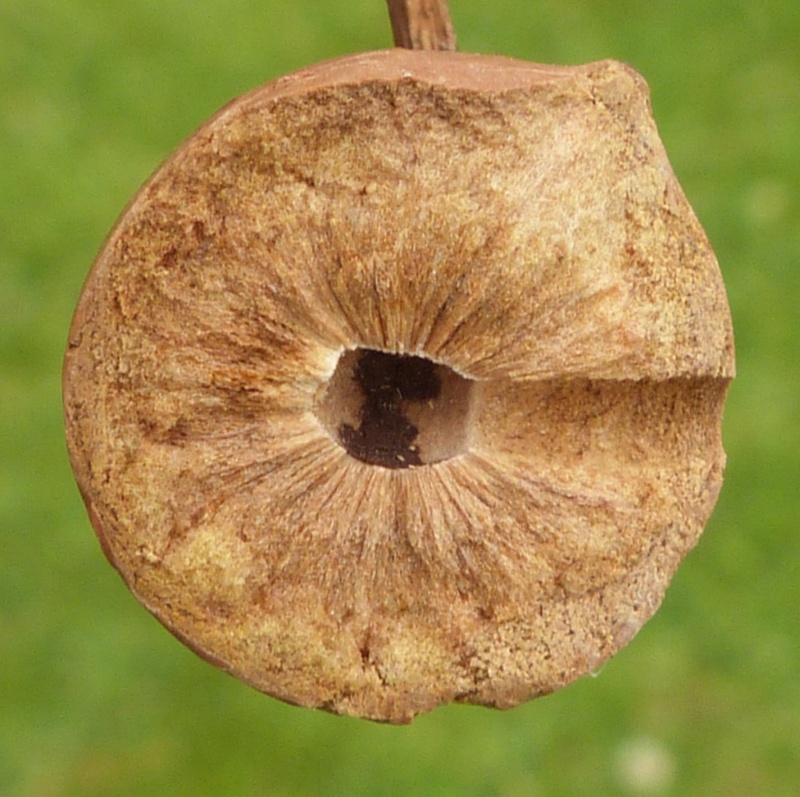 The sexual gall is found on the buds of the Turkey Oak, whereas the agamic galls are found on the buds of various species of Quercus including the Pendunculate Oak (Quercus robur).